From the mid-19th Century to today, baseball has inspired myths, legends, stories, and histories in both the US and abroad. 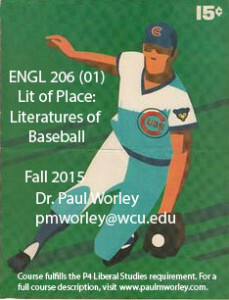 By reading works about baseball from around the world, students enrolled in this course will explore how place shapes the game of baseball and how, in turn, the game shapes those particular places. Whose stories get told? How are these stories usually told? Why? Among other topics, throughout the course students will consider how notions of race, class, gender, and sexuality prevalent in different places at different times have been reproduced, contested, and overturned on the diamond, spawning many of the popular stories of the game told and retold today.